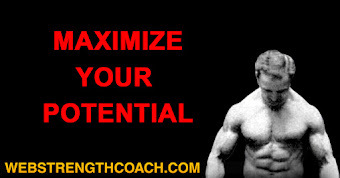 I have found that the cultivation of muscle is an easier matter than the creation of strength. To increase the size of a muscle, or a small group of muscles, requires only time and concentration; whereas the upbuilding of strength requires those two things plus the judgment which comes from experience. That explains why a man who puts himself under the guidance of a capable instructor will increase in strength far more rapidly than will the man who attempts to teach himself. 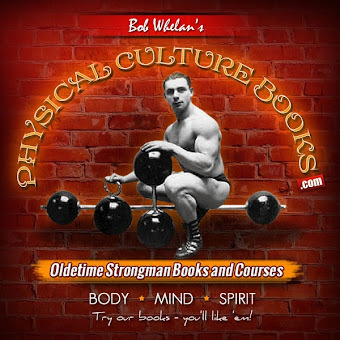 In other books, I have described the exercises which develop the different muscles, so in this chapter I will write about the increase of bodily strength which comes from a properly regulated training program. As aspirant for physical strength and muscular development may train for months before he finds out whether he is on the right track. Instead of keeping in the main highroad and making steady progress towards his goal, he may unwittingly run off on a switch -- get side-tracked-- and arrive nowhere. A young fellow bursting with the ambition to be strong will undertake some too strenuous program; plow right in and work hard from the very start. He has been told that this program has enabled others to become enormously strong, so he thinks it should do the same for him. In a few weeks everything goes along swimmingly. His arms get bigger, his legs sounder, and muscles seem to mysteriously spring out at unexpected places on his body. He finds that every day he is getting stronger and stronger; and he goes around telling everyone how fine he feels. He becomes an ardent advocate of physical exercise, and urges his friends to follow his example. But after a few weeks, say at the end of the third month, he commences to feel a little less "peppy:" and if he continues his hard exercise, he is finally forced to admit that he not only has stopped gaining but seems to be slipping. His daily exercise which was his greatest pleasure, now becomes sheer drudgery and he dreads the approach of the hour when he has to exert himself. If he is wise, he will realize that he has been rushing things too much and is overtrained; but that sort of wisdom comes only from experience, and this is his first experience. The foregoing is not a story which I have made up out of my head, but is something that I have known to happen, not only once, but in dozens of cases. It even occur to a wise professional athlete under certain conditions. A long-distance specialist will enter one of these six-day affairs. For six weeks previous to the event, he will train carefully and scientifically, doing track-work, to harden his muscles, and put his heart and lungs in condition for the great test. But not once in that time will he over-do, for he is training so as to go to the starting post with immense energy in reserve. And he does! But as the contest proceeds you can see him literally fade. His small store of fat will be burnt out of him; his face gets haggard, his muscles stringy, and his bearing that of an old man. Toward the end of the sixth day of the underfeeding, lack of sleep and over-exertion have taken their toll, and he becomes a sample of utter physical exhaustion.. He forces himself to finish--win or lose ? ?rather that to forfeit his share of the gate money. When the race is over he is put to bed, and sleeps and sleeps. If he wakes up, he is given nourishing food, and then he slumbers off again. When he has gotten his fill of sleep, he devotes the next few days to heavy feeding. His appetite is something to stagger you. If he weighed 160 pounds at the start of training, 150 pounds at the starting post, and 125 at the finish, it is likely that three weeks after the race he will weigh 175 or 180 pounds. I offer that as a parallel case to that of many men who start to exercise. If you ask me what "six-day racing" has to do with strength, I will admit that it seems to be more like an endurance test; but endurance, as we have already seen, is nothing but continued strength. If you further object that a six-day racer is rarely a very strong or powerful man, I have to reply that he at least has a tremendous stock of energy; and remind you that I am now writing about the building up of reserve energy. Let us switch to another viewpoint. It is possible for a man to make most remarkable gains in size and strength of any one set of muscles and to keep on gaining without a single setback. It is conceivable that one could increase the girth of one's upper arm from eleven to sixteen inches, vastly increase its strength, and do this without any loss of general energy, or any ill effects whatever. For if you confine your work to one part of the body, most of the beneficial effects are shown just in that part, and some of the neighboring parts; and the bodily exertion is not great. It has been proven that vigorous movements, repeated only a few times, tend to increase both the size and strength of a muscle much more rapidly than will a violent movement repeated once; or a mild movement repeated one hundred times. 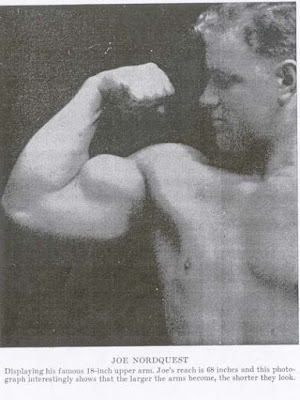 Now, since there are comparatively few muscles in the upper arm it takes only a few different exercises to bring those muscles into action; and since each exercise has to be repeated a few times, it becomes possible to develop the arms to their fullest extent by exercising them only five or ten minutes every twenty-four hours. As the muscles grow bigger and stronger, the exercises will naturally become easier of performance; and then all you have to do is to increase the resistance against which the arm muscles are working; without making it necessary to make more repetitions, or to spend more time. Under such a plan, and if you do little other exercise, you can build up your arms until they are so big that when you don a bathing-suit your arms will simply dazzle the eyes of your friends. But don't forget that all you will be is a man with strong arms, not a strong man. Even the biggest arms will not enable you jump any higher, if your legs are still small and weak. Nor will they enable you to lift, or carry a lot of weight if your lower back is still weak. I have seen some extraordinary cases of special development built up on this one-at-a-time plan. It happens that the pectoral muscles on the front of my chest rather well developed; and apparently they attract attention, for others comment on their size and shape. They seemed to particularly impress a young pupil of mine. He asked me, "Mr. Liederman, won't you tell me how to get of pair of chest-muscles like yours?" I assured him that that was part of my job; and instructed him how to do a couple of exercises using very stout rubber cables, and along with these to practice "dipping" on the floor, and on the parallel bars -- and to take but mild work for the rest of his body. He worked with enthusiasm and determination, and although it is only a few months since he started, he came in the other day and displayed to me the most remarkable pair of breast muscles I have ever seen. Remember that when he started his breast muscles were barely visible, whereas now when he flexes them they mount up in two huge bosses of muscle and look almost as though you had cut a football in tow lengthwise, and placed a half on his chest each side of the breast-bone. "Dipping" -- particularly the parallel-bar variety -- is strenuous work, and employs the muscles of the upper back, the upper arms and the shoulders. But it calls particularly on the breast muscles. So I was not surprised to see that this lad's shoulders were broader than before and his arms much bigger. So thick had his breast muscles become, that they added considerably to the diameter of his chest. They made his chest very deep from front to back. His chest girth is 42 inches normal, something wonderful for a young fellow of his height. The "dipping," being vigorous arm-work, had built up his upper arms so that they measured a clean 15 inches. But it was apparent that the increase in arm-girth was a sort of by-product. When I freely admitted to him that his chest muscles were bigger than mine, he came back with, "How much does your arm measure?" 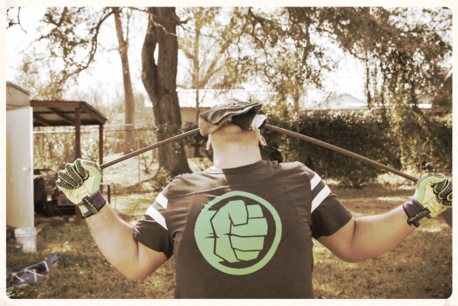 I told him, "Oh, about 16 1/2 inches; and then as I anticipated, he said, "Now tell me some exercises to give me an arm like yours." 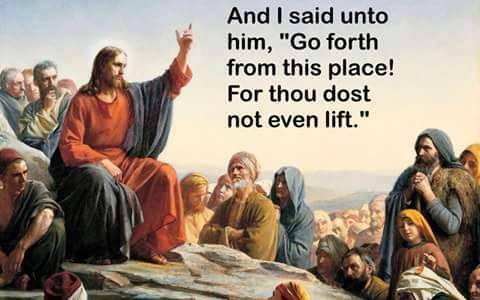 I have accordingly given him some special arm-exercises, and I fully expect that before long he will come back with a pair of 17-inch biceps -- especially if he follows my directions. I knew that it would be unwise to add too much work to his daily program, and told him cut down on the "dipping," and that he could do this without worrying about losing his chest-development. For while it takes a lot of hard work to develop a muscle to its limit, you can keep it at its limit by only a little work. Actually this lad had been doing 150 "dips" per day --75 on the floor, and 75 on the parallels. I told him to cut down to fifty, twenty-five each way. That would give the breast muscles sufficient work and would leave him a lot of energy for his special arm-exercises. To you or the man of ordinary development, "dipping" twenty-five times seems like a day's work in itself, but you must remember that this chap has muscles so big and strong that 25 "dips" is no more exertion to him than climbing three flights of stairs is to you. This unusual young man has great ambition, and is gifted with a large stock of patience. 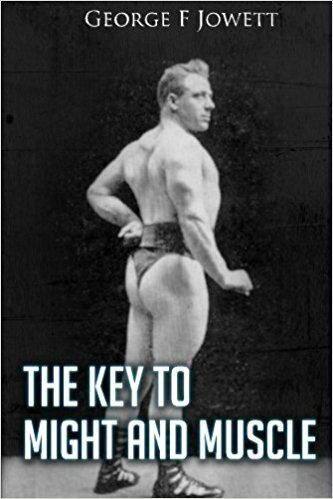 If he sticks to his present plans of developing one part of his body at a time, it may take a couple of years before he has brought all his muscles to the same standard of perfection that his pectoral muscles now possess; but at the end of that time he will truly be a "muscular-marvel," and should be terrifically strong. However, here are but few who are willing to spend two years at becoming thoroughly developed. A beginner does not want to postpone his entrance into the "Strong Man" clan as long as would be necessary under the above plan. The desire is to become a strong man, which entails all-round strength, and not special or local strength. Personally I believe the best plan for the beginner is to start with exercises of a rather mild character, for then one can include movements which develop every part of the body, and supplement hose with other general exercises which use almost all the muscles simultaneously. This sort of work yields but comparatively small results so far as muscular growth is concerned; but its great advantage is that it limbers up the joints, gives elasticity and some strength to the muscles; enlarges the lungs, strengthens the heart; and best of all improves the condition of the whole body, and inures it to fatigue. Because none of the exercises are severe, even a long period of exercise will not cause the fatigue which comes from over-exertion. This kind of exercise is just what is prescribed for a man who "just wants to keep himself in condition." But at that it is the best start-off even for the boy, or man, who intends to train for great strength. After the body has been thus prepared, more vigorous exercises are in order. So long as the progressive principle can be adhered to, the kind of apparatus is not limited to one kind. Adjustable bar-bells and certainly convenient. Heavy pulley-weights can be made to do. Gymnastic apparatus can be used, and schedule of progressively difficult exercises be figured out to suit. And when there is positively no apparatus of any kind to be had, it is still possible to use the weight of one's own body to furnish the necessary resistance. 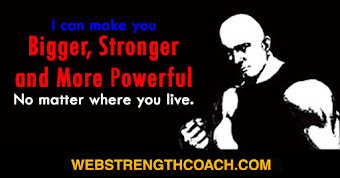 But as soon as you undertake real "strength exercises" you must be on your own guard. Not against over-strain so much as "over-work." No fixed schedule will suit in any and all cases. There is always what they call a "personal equation," which in this case is a complicated one. 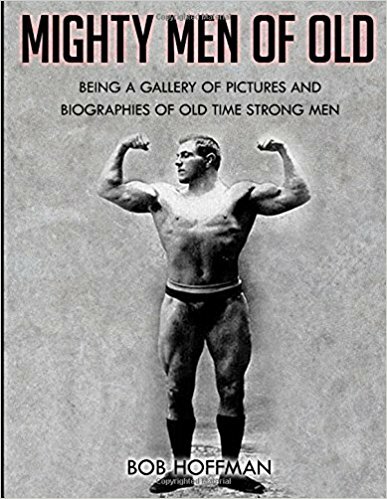 Even when the aspirant for strength is organically sound, such factors as one's age, shape, size of muscles, digestive power, resistance to fatigue, and power of recuperation must be considered. The internal factors are the most important. 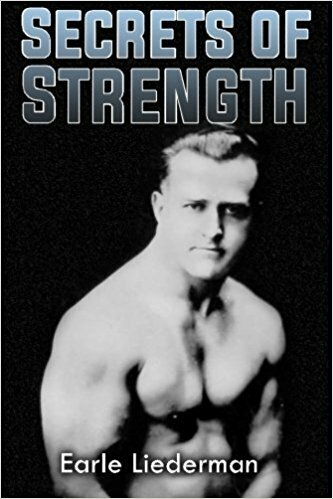 A man who has a perfect digestion to start with, will put on muscle more rapidly than another man whose digestion has to be improved as he goes along; and a man who starts with a strong heart and big lung-capacity will stand a lot more work than the man who has to develop heart-and-lung power. And then there are men of a calm, unexcitable disposition; who seem to quickly recover their strength and have a power to quickly rebuild muscular tissue; and other nervous people who take longer to "come back," after the fatigue of developing exercise. 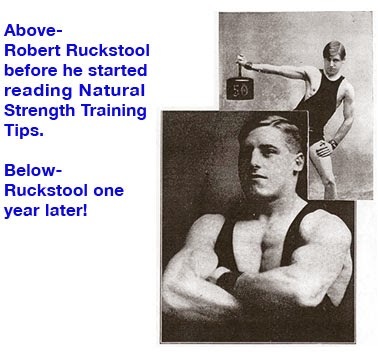 Every man must watch himself carefully during his first few weeks of muscle-building exercise. I do not mean the mild preparatory exercise, but he vigorous work which follows it. A prizefighter preparing for an important contest will spend six weeks in training for the battle. Experience has shown that an athletic man can be brought to the very top notch of condition in that length of time. And if the training is too prolonged, the athlete will be over-trained or "stale" and will lose energy.